Accessibility: We provide fair and equal access to each patron regardless of age, race, ethnicity, religion, nation of origin, sexual orientation or gender presentation, class, ability, or creed. Reliability: We consistently provide service that is thorough, dependable, professional, and accurate. Responsiveness: We provide prompt, courteous assistance. When we are unable to help, we direct patrons to the party who can. Environment: We provide a learning environment that is conducive to study and research through our collection and virtual and physical spaces. Confidentiality: We maintain patron confidentiality in all records and communications. We provide patron information to third parties only when compelled to do so by law. If you receive service that is not representative of these ideals, please let us know by submitting the “Suggest Improvements” web form or contacting the Library Director at (580) 559-5564. Linscheid Library expects all users to comply with federal, state, and local laws while on the premises. Noise should be kept to courteous levels throughout the library. Please choose the zone that best meets your needs. These areas allow for normal conversational tones. Talking in these areas should be in low tones. Conversations in these areas should be kept at a minimum. Please be advised that the 2nd floor atrium is particularly conductive of noise. Conversations held here should not be considered private as they can be heard throughout the library. You may use your cell phone to make or receive calls in these areas, but please keep your conversations brief and at a low volume. Regardless of zone, electronic audio content can be utilized if headphones are used and volume is kept at a level that does not disturb others. Please be advised that earbud-style headphones do not contain noise well. Headphones which better contain noise are available for checkout from the Circulation Desk or the Media Services Department. These zone designations are subject to change during library-sanctioned events. Please silence your cell phones and other electronic devices while in the library, and limit all cell phone conversations to the Cell Zones. Students must reserve the Group Study Room in order to use it. Use of the room indicates consent to the Terms and Conditions provided on the online reservation form. In accordance with 21 O.S. 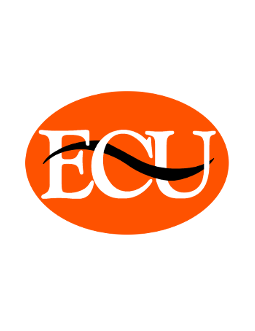 §1272, the ECU Student Code of Conduct, and the ECU Staff Handbook (MyECU, Administration and Finance), individuals, with the exception of authorized law enforcement personnel, are not permitted to bring firearms into the building. Parents and guardians are responsible for their children’s behavior while in the library, and are expected to prepare their children to use the library quietly and respectfully. All patrons are expected to abide by copyright laws. Please remember that the library is a public place, and that it is not the responsibility of library staff to monitor personal property. Please do not leave your belongings unattended. If you believe you have experienced or witnessed a theft in the library, please contact the Circulation Desk at (580) 559-5376 or notify any library employee. Comments and actions that a reasonable person applying contemporary standards could construe as harassing, threatening, or intimidating will not be tolerated. In accordance with the Student Code of Conduct, the use of any type of tobacco or alcohol is not permitted within the building. Packaged food and drinks with lids are permitted in most areas of the library, but please dispose of trash in the proper receptacles. Please notify a library employee if you need assistance with cleaning up a spill. Theft, defacement, and destruction of library materials, the library building, furnishings, or equipment will not be tolerated. Theft includes removing library materials from the library without checking them out. Patrons are expected to cooperate with library staff if they set off a library security alarm. The doors to the library will be locked 10 minutes prior to closing to ensure adequate security to people and library property. Library materials should be checked out no later than 10 minutes prior to closing. Patrons who do not adhere to the Patron Responsibilities or require constant staff intervention may have their privileges reduced or curtailed. Typically, a patron will receive a warning regarding the first violation of the Patron Responsibilities. Repeat violations of the Patron Responsibilities, or any violation of an extreme or criminal nature, may result in barring the patron from using the library and its services. A final barring determination will be made by the Library Dean, or, in the case of student offenders, by the Library Dean in consultation with the Dean of Students.